Pakistan Telecommunication Authority (PTA) and Federal Investigation Agency (FIA) conducted a joint raid at Gulshan-e-Iqbal Karachi which resulted in confiscation of functional illegal gateway telephone setup. The illegal setup consisted of four GSM Gateways, Tellulars, Switches, Routers and number of SIMs of different operators. During the raid one person was apprehended. ensure severe punishment as per the law. strict action against them as per the law. Are you PTA spokesman? Coz the way this article is written looks like an official handout. I noticed when my friends in Europe called me using VoIP service in Europe and local numbers appeared on CLI. I asked them and they told me VoIP services they use in Europe (Betamax). To report it to PTA I am saving them, but I am afraid that at the end of the day PTA will claim it to be their 24/7 effort. But then according to PTA even usage of Skype, Yahoo, MSN voice chat is illegal…as Internet service is for Data only, and not voice. This way aren’t we all doing an “illegal” activity ? World is going in future, PTA is pulling us in stone age. Dr. Yaseen sb VoIP is future, give local VoIP operators licenses, don’t crush them. 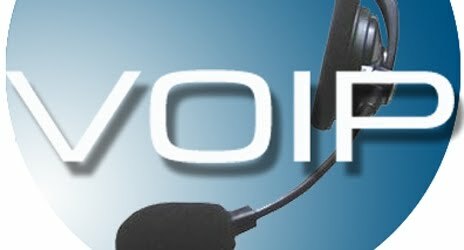 Make it possible for local voip operators to provide services to Pakistanis abroad, don’t force them to use VoIP operators who use illegal VoIP routes. Europe and US aren’t dumb enough promoting VoIP while we are crushing any local VoIP operator possiblity and PTA after every few months claiming to be champion of curbing grey telephony. the only reason for this location to be closed is because the PTA guys in KHI did not get their brown papaer bag this month. also one site taken down out of many gives PTA something to crow about saying they are tackling the issue but really they are all in on it !! is MAGIC JACK considered a VOIP and is it illegal??? PTA actually stands for Paskistan Telecommunication a**holes.